POINT 3 Basketball, an Atlanta, GA performance apparel brand dedicated to basketball, closed a seven-figure Series A funding. The amount of the deal was not disclosed. Backers included new and existing angel investors from the apparel, sports, technology and finance industries. The company intends to use the funds to further grow its direct-to-consumer sales channels, expand the reach of the brand, and its ability to commercialize POINT 3 owned intellectual property. It also secured a revolving credit line through Synovus Bank, which will fund manufacturing costs. 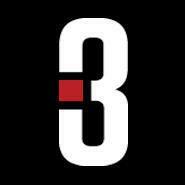 Founded in 2010 by Michael Luscher, CEO, POINT 3 is an apparel brand focused on the on-court needs of basketball players. Its shorts include absorbent panels of fabric on the garment’s exterior, which are marketed under the DRYV Moisture Control®, a Patent Pending textile technology designed to absorb moisture where ballplayers need it most.